Dr. Ketrow’s sojourn at the University of Rhode Island began in the fall of 1986, when she was drawn to come back to academia and the sea from working in corporate marketing. She teaches undergraduate and graduate courses in gender and communication, interpersonal communication, group communication, and nonverbal communication, among others. She offered the first online course at URI (gender and communication). One of the first Technology and Teaching Fellows at URI, Dr. Ketrow often is tinkering or torturing her students and colleagues with some new electronic device. 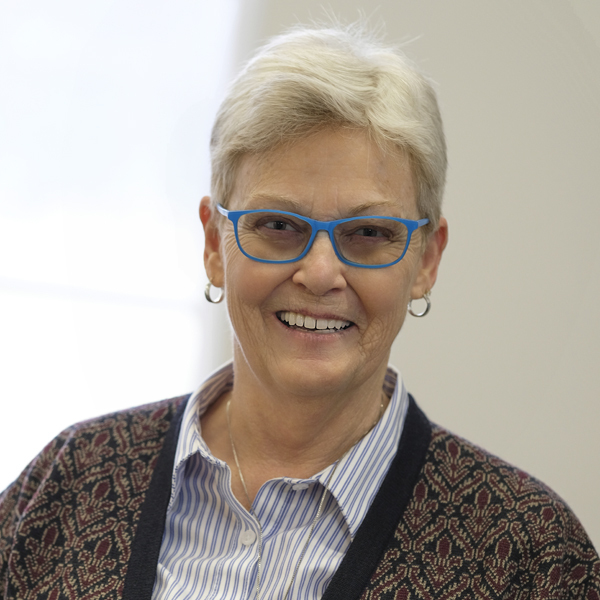 The evolution of Dr. Ketrow’s research in human communication began with her investigations into leadership and other role specializations in group decision-making. Over time, she has held a programmatic focus on nonverbal aspects of interaction in various contexts, including interpersonal, group, and organizational, as well as decision-making, and communication competence. More recently, Ketrow has explored argumentation and decision-making in family groups experiencing crisis or facing a consequential decision, such as terminating life support for a loved one. Her research has been published in academic outlets such as Small Group Research, Management Communication Quarterly, Psychological Reports, The Handbook of Group Communication Theory and Research, Mental Measurements Yearbook, and Lesbians in Academia. Ketrow, S. M. (2012). Humor in families: A crucible of humor and communication. In R. L. DiCioccio (Ed. ), Humor communication: Theory, impact, and outcomes (pp. 157-172). Kendall-Hunt Publishing Company. Ketrow, S. M., & DiCioccio, R. L. (2010). Family argument: A model of family communication in crisis. In D. S. Gouran (Ed. ), The functions of argument and social context: Selected papers from the 16th Biennial National Forensics Association/National Communication Association Joint Argumentation Conference (pp. 241-249), Alta, UT. Ketrow, S. M., & DiCioccio, R. L. (2009). Family interaction in consequential or crisis decisions. China Media Research, 5(1), 81-86. Ketrow, S. M. (1999). Nonverbal aspects of group communication. In L. Frey, D. S. Gouran, & M. S. Poole (Eds. ), The handbook of group communication theory and research (pp. 251-287). Thousand Oaks, CA: Sage. Schroeder, J., & Ketrow, S. M. (1997). Social anxiety and performance on an Interpersonal Perception Task. Psychological Reports, 81, 991-996. Schultz, B., Ketrow, S. M., & Urban, D. M. (1995). Improving decision quality in the small group: The role of the reminder. Small Group Research, 26 (4), 521-541. Ketrow, S. M. (1991). Communication role specializations and perceptions of leadership. Small Group Research, 22, 492-514. Ketrow, S. M. (1991). Nonverbal communication and customer satisfaction in computer-assisted transactions. Management Communication Quarterly, 5, 192-219.